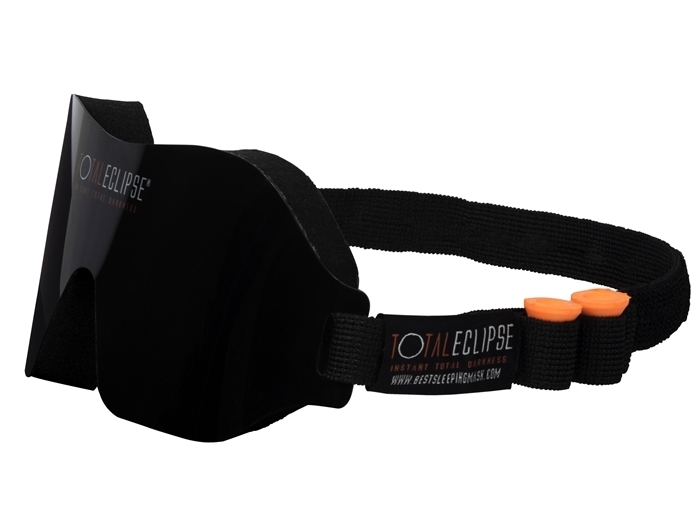 The front of the Total Eclipse is a flexible and light. 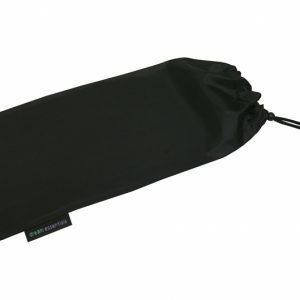 The back is a soft, lined foam that conforms to your face to help eliminate light leaking in. 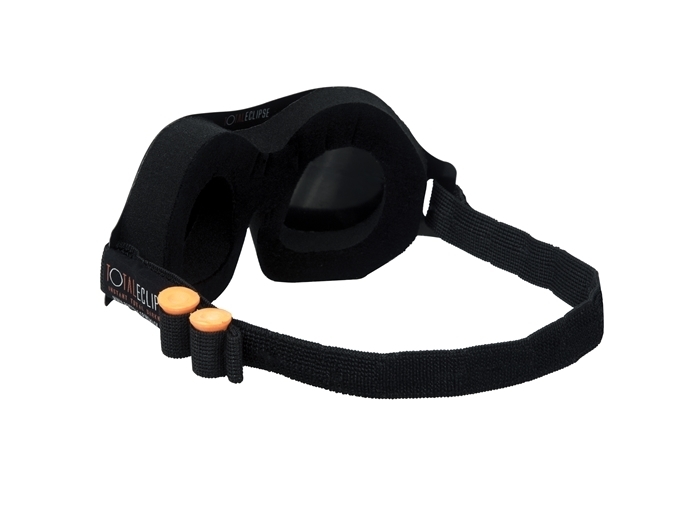 With a fully adjustable elastic band strap, this mask will allow you to achieve a perfect fit. The strap also features a unique and handy earplug holder, therefore when you are travelling you’ll have your earplugs right at your finger tips. Now available with a writable surface! Ever taken a flight, fallen asleep and woken to discover that you have missed your meal? 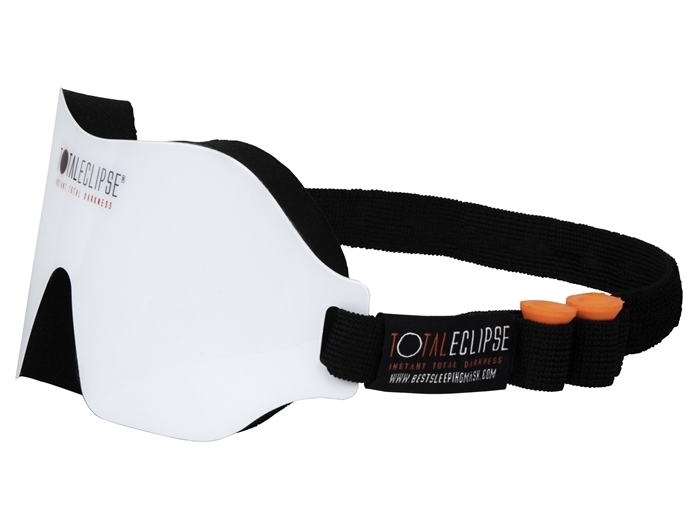 Our new Total Eclipse Sleep Mask now comes in a white writable surface to ensure this doesn’t happen again. Let your flight attendants know that you would like to be woken for meals or left to snooze all while your are asleep. This new design not only blocks light but also has an erasable writing surface. It essentially turns your face into a notepad! The idea was sparked by inventor and mechanical engineer, Jason Lichtman, CEO and founder of Eclipse Products LLC. “I travel a lot and I’ve been frustrated by missing airline meals and drinks, especially when they don’t serve them as often as they used to,” Lichtman told the Airline Passenger Experience Association. “I realised it is all about communication or the lack thereof. I bought these for my boyfriend. They work so well that now he sleeps all day long! Despite looking like a bra for your face, this is an awesome product. Blocks light very effectively and very comfortable. Firstly, I would just like to say thank you so much for such a great product and prompt service. From returning my calls to the speedy delivery. My partner whom i purchased the sleeping mask for, absolutely raves about it. He believes it has improved his sleep quality considerably. Due to the fact he works permanently 6 nights a week as a petrol tanker driver it gives me some relief from the worry that he is at least getting quality sleep. Apart from wanting to pass on my thanks to yourself and the team, I am also purchasing two more of the same mask. One for myself on hubby strong recommendation and a second set for him for “just incase”. 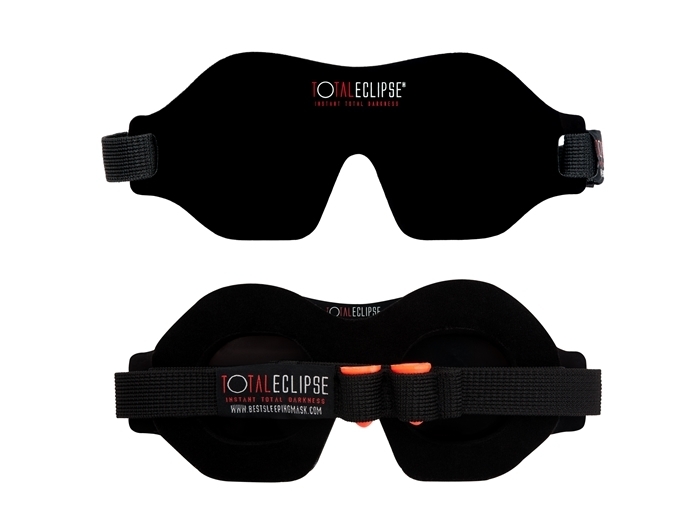 I’m very light sensitive and this mask is the best, total eclipse by name and by nature, love it. Was worried it would be a bit cumbersome but I find it better than the usual style of mask because the padding around the eyes ensure nothing touches the eye lids which I also personally really like. Highly recommend this mask especially for anyone who doesn’t like that little bit of light that always creeps in somewhere with other masks. These ones block out all the light. They are pretty full on looking. I found it harder to sleep with it on though as I found it necessary to have some pressure in the band, I wore it tighter to keep the light out… Very good, but still on the quest for “perfect” eye mask. This isn’t the “prettiest” of masks but it really does a great job at blocking out the light. Who gives a hoot how it looks right? I am a nurse and I do a lot of shift work and need to sleep through the day. Without my sleep masks I simply couldn’t do this! I like how surprisingly light this masks sits on my face and that the cutouts allow me to comfortably open and close my eyes when wearing it. I would just like to say thank you so much for such a great product and prompt service! From returning my calls to the speedy delivery. My partner whom I purchased the sleeping mask for, absolutely raves about it. He believes it has improved his sleep quality considerably. Due to the fact he works permanently 6 nights a week as a petrol tanker driver for Caltex (only coming home every 3 months) it gives me some relief from the worry that he is at least getting quality sleep. I wake up so many times during the night and there is always a degree of light in my room. With this mask there is total darkness and I seem to sleep better. I’m a restless sleeper and find a snug fit of the band better for me.